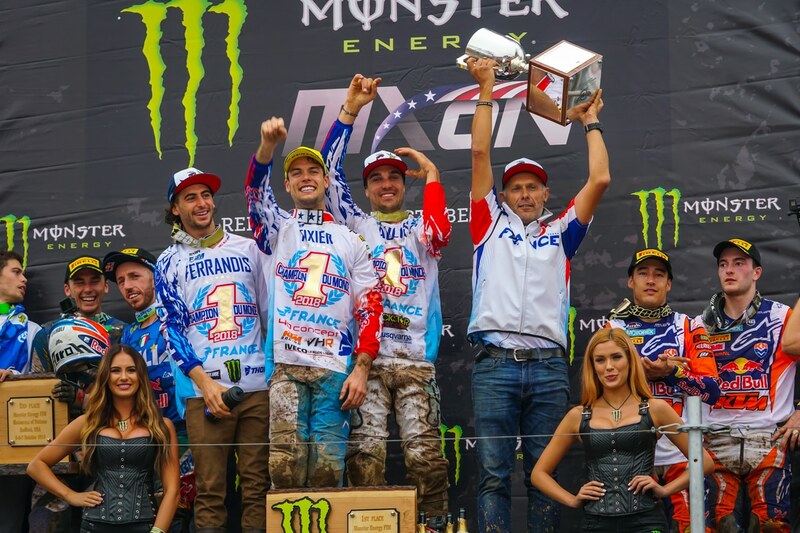 Team France still won the Red Bud MXDN, but everyone else moved up one place after Team Italy was disqualified. It just took the FIM 4 months to test the fuel. Believe it or not, four months after the 2018 Motocross des Nations was over, the FIM disqualified Team Italy from the event because the fuel samples of 250 rider Michele Cervellin were out of conformity with the required standards of unleaded fuel. Because of Cervellin’s illegal fuel, the FIM disqualified Team Italy from the 2018 MXDN’s final results. Italy had finished second overall, but with their disqualification, every country, from third on back, moved up one spot. France was still the MXDN winner, but Holland moved from third to second, Australia from fourth to third, England from fifth to fourth and Team USA from sixth to fifth.